Jack Sandham and Wednesday Lyle, better known as Cowbell, may be from London but their style of music is founded in minimalist American rockabilly. They have just issued their third album titled Haunted Heart. In the past they have performed and recorded as a duo; Sandham (guitar and vocals) and Lyle (drums and vocals). They have now added some keyboards, which fills in some of the gaps a duo can’t help but create. Still, it is Sandham’s crunching and driving guitar runs that connects the music to the American south. In many ways they are a garage band that has evolved beyond those limitations. While they still keep their approach fairly simple, they do take some chances, which enhances their approach and makes the music more interesting. “Nothing But Trouble” and “No Wrong” take their sound to the edge of the Delta Blues. “Neon Blue” and “Doom Train” benefit from some swirling psychedelic organ that fuses with Sandham’s guitar sound. They travel in a different direction when Lyle takes over lead vocal duties. As a woman, she brings a different feel to their music. “Downlow” is a climb into the time machine for a trip back to the late 1960’s and the Woodstock Nation. “New Kind Of Love” stands out because it runs counter to all the other tracks. It channels Patti Page and Peggy Lee as an old style torch song that you used to find in a small smoke-laden bar late at night. 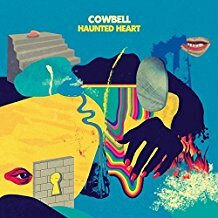 Haunted Heart is a raw and energetic album that will have you tapping your feet along with the beat. This new release by Willie Nile is a keeper. A lot of musicians have covered Bob Dylan, but very few better than Nile. He is one of the better American rock and roll artists working today and he is able to fuse his rock tendencies with Dylan’s folk/rock material. He re-invents two eternal folk songs, “The Times They Are A Changin’” and “Blowing In The Wind,” His gritty vocal brings a new energy to these old chestnuts. 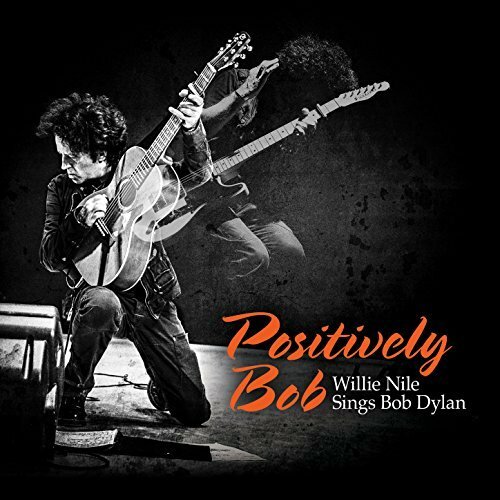 Positively Bob: Willie Nile Sings Bob Dylan is the latest chapter in the musical career of Willie Nile. It is an album to sink your teeth into and hang on. Female or girl vocal groups will always be associated with the 1960s. The music was usually bright, shiny, and melodic. Artists such as the Shangri-Las, Ronettes, The Angels, and the like, sold tens-of-millions of records and became household names. Bur for every star, there were dozens of artists who released a single or three and quickly vanished. Honeybeat: Groovy 60s Girl-Pop is a labor of love. It resurrects 19 rare tracks by female pop singers and groups. The music has a clear sound and comes with a booklet that presents a short history of each track. While there are a few obscurities by some well-known artists; Little Eva and Erma Franklin; it is such groups as the Pussycats, Lollipops, Glories, Avons, plus Gia Mareo, and Sandi Sheldon that are remembered only by collectors of rare records. Sometimes the history of the artist is more interesting than the music. Enter the Pussycats. There were a pre-fabricated clone of the Shangri-las. The group lasted for two singles and the melodramatic “The Rider” shows why. Lead vocalist Gayle Harnass went on to perform on Broadway and with the 1970s cult favorite band Jo Mama. The Glories were the Supremes on Steroids. The released a number of singles for the Date label during the 1960’s that were just too intense for AM radio at the time but would have been a good fit as music tastes changed during the 1970s. “No News” is typical of their approach; so listen and hang on. There were several groups named the Lollipops. The one chronicled here released four singles for RCA and then retired to raise families. “Don’t Monkey With Me” is a bright fusion of R&B and doo-wop. Van McCoy is remembered for his eternal disco hit “The Hustle,” but he composed over 700 songs and produced dozens of artists. One of his more obscure projects was “You’re My Lovin’ Baby” by the Sweet Things with lead singer Francine Hurd. It is a wonderful and sultry ballad that deserved better. The group dissolved but Hurd changed her name, found a new partner, and found commercial success as one half of Peaches and Herb. Nichelle Nichols recorded the traditional blues standard “Why Don’t You Do Right,” which found little success. Her character of Lt. Uhuru on the original Star Trek series made her a star. 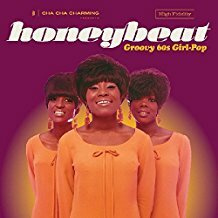 Honeybeat: Groovy 60s Girl-Pop is a living pop history lesson. While the music may only appeal to aficionados of the sound or era, if you fall into either of those categories, it is a treasure trove. If you want to know where the funk in funky originated, look or listen no further than The Staple Singers. Roebuck “Pops” Staples began his career as a teenager in the 1920’s. By the 1940’s he had moved to Chicago and formed The Staple Singers with his son Purvis and daughters Mavis and Cleotha. Before attaining huge commercial success with white audiences in the 1970’s, they released music for the Vee Jay and Riverside labels where they became renowned for their gritty brand of gospel music. The mid-1960’s found them with Epic/Columbia. Now their first two albums of gospel and secular music for the label have now been re-released by Real Gone Music as Amen/Why. Amen is the more traditional of the two releases. Pops Staples arranges a number of gospel songs. “He’s Got The Whole World In His Hands,” “This Train,” “Delilah,” and “Nobody’s Fault But Mine” are more of a straight vocal approach than the funky R&B sound of their classic 1970’s period. The two original Pops compositions are both interesting and arguably the best tracks as they still sound fresh today. Mavis just attacks “More Than A Hammer And Nail.” Her gritty vocal runs counter to the upbeat nature of the song. “Do Something For Yourself,” with Pops subdued lead vocal looks ahead to their social statements of the future. The Why album is also gospel oriented but takes more chances. At the time of its release in 1965, life was changing in America and a number of the tracks reflect the upheaval of those changes. “Why (Am I Treated So Bad)” is a blunt reply the barring of black students from an Arkansas High School. It would eventually become an early center piece of the Civil Rights Movement. The praise song “King Of Kings” and the moving “I’ve Been Scorned” are equal to their best work. “Move Along Train” contains a slow-building Mavis vocal with Cleotha filling in the gaps, a formula they would rely on in the future. “What Are They Doing (In Heaven Today)” is a light but fun-filled romp. 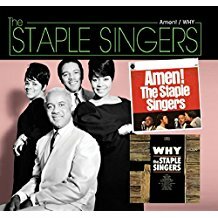 While The Staple Singers were well into their career, Amen/Why finds them in transition. Two more 1960’s Epic albums would complete the process and lead to their classic sound. This release finds The Stale Singers on the cusp of stardom. It is a good listen for anyone who wants to explore not only the legacy of the Staples but the roots of American funk and rhythm & blues. It was 50 Years ago today, (yes today), that Sgt. Pepper’s taught the band to play. Sgt. Pepper’s Lonely Hearts Club Band has reached the half-century mark and the Capital label has released a massive 4-CD + DVD + Blu-ray set that contains everything you could ever want to hear or know about one of the most influential albums in music history. The highlight of the release is the new stereo mix. It brings out additional textures and invites the listener to explore unheard layers of the music. A prime example of this enhancement process is “Lucy In The Sky With Diamonds,” which now has an almost sonic quality. This re-imagining of the album makes the set worthwhile by itself. Discs two and three may not be played as much as the first disc but are important for their historical significance. They contain 35 tracks and over 100 minutes of demos and songs in progress, which give a look into the recording process. The intimate studio chatter adds a dimension that that will be appreciated by fans of the band. The real bonus is most of the music is being released for the first time. How many times someone will want to listen to these discs will depend upon the level of one’s desire to explore the Beatles music in depth. 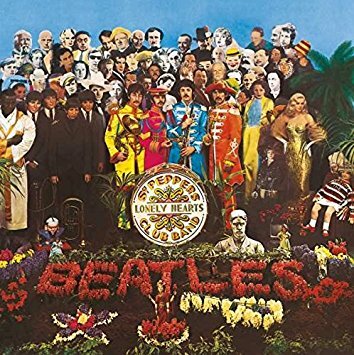 The members of the Beatles always preferred the mono version of the album. The fourth disc contains the complete mono version in all its glory. In some ways, it pales next to the enhanced version but it presents the album as it was originally envisioned. The DVD and Blu-ray contain the 1992 documentary The Making Of Sgt. Pepper’s. While the film takes on some new life through the enhancement of its clarity, it still has been available for 25 years. The interviews with Paul, Ringo, and particularly George are worthwhile, as is the studio footage with commentary by George Martin. While it does not have the impact of the CD’s, it does form a good foundation for the set and it is nice to actually see the Beatles. The 140 page book is highlighted by song information, recording info and a number of in depth essays. It all adds up to a good companion piece to the music. The new stereo mix and the original mono release deserve the highest rating with the unreleased in progress discs and the book just a little below that level. The set provides a lot to absorb and ultimately to experience.